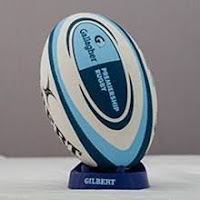 TOTAL FLANKER...a rugby blog: Premiership Rugby relegation question a red herring? Premiership Rugby relegation question a red herring? With only 4 points currently separating the bottom seven teams in the Premiership and a realistic prospect of one of the league's traditional big hitters being relegated at the end of the season, talk of ending relegation has once more raised its head. I admit I can see both sides to the argument. On the one hand, ending relegation and ring-fencing the Premiership would allow clubs to take more risks, promote younger English players rather than import from abroad, ease the workload on senior players, and plan commercially for the mid to long term. On the other hand, preventing promotion from the Championship could serve only to stifle ambition and lead to the stagnation of rugby in the second tier - after all, without the principle of promotion and relegation, Exeter's remarkable journey to the upper echelons of English rugby would not have been possible. I do not know what the answer is, but what I do know - and I've banged on about it before - is that there simply isn't enough money in club rugby in England to sustain 2 fully professional leagues of 12 teams. The starting point of any discussion should therefore be the question of how many professional clubs can the game in England realistically sustain...?